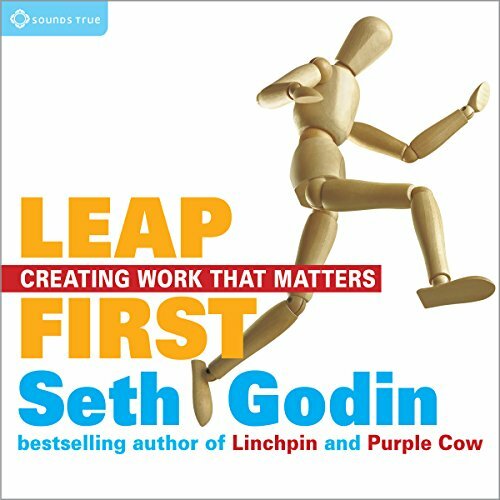 In his bravest and most challenging book yet, Seth Godin shows how we can thrive in an economy that rewards art, not compliance. He explains why true innovators focus on trust, remarkability, leadership, and stories that spread. And he makes a passionate argument for why you should be treating your work as art. Art is not a gene or a specific talent. It's an attitude, available to anyone who has a vision that others don't, and the guts to do something about it. We send our kids to school and obsess about their test scores, their behavior and theirability to fit in. We post a help wanted ad and look for experience, famous colleges and a history of avoiding failure. We invest in companies based on how they did last quarter, not on what they’re going to do tomorrow. So why are we surprised when it all falls apart? Our economy is not static, but we act as if it is. Your position in the world is defined by what you instigate, how you provoke, and what you learn from the events you cause. In a worldfilled with change, that’s what matters - your ability to create and learn from change. There used to be two teams in every workplace: management and labor. Now there’s a third team, the linchpins. These people invent, lead (regardless of title), connect others, make things happen, and create order out of chaos. They figure out what to do when there’s no rule book. They delight and challenge their customers and peers. They love their work, pour their best selves into it, and turn each day into a kind of art. 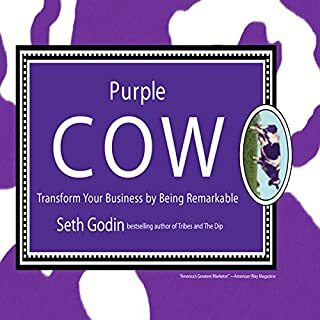 Seth Godin, one of today's most influential business thinkers, writes best-selling books like Purple Cow and All Marketers Are Liars. And in between those annual books, he delivers a daily stream of ideas on one of the world's most popular blogs. We Are All Weird is a celebration of choice, of treating different people differently and of embracing the notion that everyone deserves the dignity and respect that comes from being heard. The book calls for end of "mass" and for the beginning of offering people more choices, more interests, and giving them more authority to operate in ways that reflect their own unique values. Mass market is being fractured. The essense of marketing has been defined. Internet marketing pioneer Seth Godin says he wants to change the way almost everything is marketed today. Will you give him permission to show you the future? Listen to how you can turn strangers into friends and friends into customers with this groundbreaking new approach. Stop marketing at people! Turn your ideas into epidemics - ideaviruses - by helping your customers do the marketing for you. So says Info Age marketing guru Seth Godin. The Big Moo is a simple audiobook in the tradition of Fish and Don't Sweat the Small Stuff. Instead of lecturing you, it tells stories that stick to your ribs and light your fire. It will help you to create a culture that consistently delivers remarkable innovations. Purple Cow taught marketers the value of standing out from the herd, which is how companies like Krispy Kreme and JetBlue made it big. But it left readers hungry for more: How do you actually think up new Purple Cows? And how do you get them adopted by risk-averse Brown Cow companies? Free Prize Inside delivers those answers and much more. It's come to this. All the confusion and chaos and change and turmoil in our working lives have finally tipped the balance. We now need a new way of doing business. Best selling author Seth Godin leads the way, using Darwin's theory of evolution as a simple yet profound model. Presenting 12 breakthrough practices for bringing creativity into all human endeavors, The Art of Possibility is the dynamic product of an extraordinary partnership. The Art of Possibility combines Benjamin Zander's experience as conductor of the Boston Philharmonic and his talent as a teacher and communicator with psychotherapist Rosamund Stone Zander's genius for designing innovative paradigms for personal and professional fulfillment. You're probably good at your job, maybe even great. But secretly, do you yearn to fly higher? To challenge the rules and surprise us with something remarkable? To instigate delight, connection, and real change? To choose better over safer? "It always feels too soon to leap. But you have to. Because that's the moment between you and remarkable. I hope this helps you return to that edge. And then, to leap." Seth is great but his content deserves better production work. I have 3 audio books from Seth with subpar audio quality. I know Seth himself don't really care about audio quality as he mentioned in his speech but it does make a difference. With proper loudness normalization and equalization, they can sound a lot clearer especially when you listen while walking on the street or driving. I love that this isn't an audio version of a book but it is a true audiobook. Created precisely for audio format. Readings Godin's books a second time around and deciding to ship this review as a contribution to the "network". 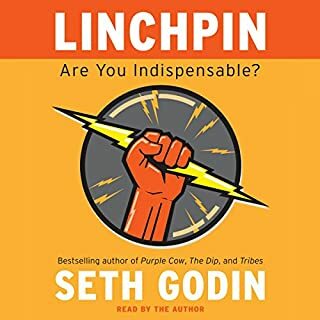 Thanks Seth Godin for your contribution to our understanding of the mechanics the survival instinct as a deterrent of our capabilities to innovate and deliver work that matters. I have a ton of Seth's books and love them all but this one wasn't good. Its really hard to hear and understand what he's saying. Maybe its just the format, but it didn't work for me. I'd recommend many of his other books, but not this one. I'm listening again right now. Seth nails it. 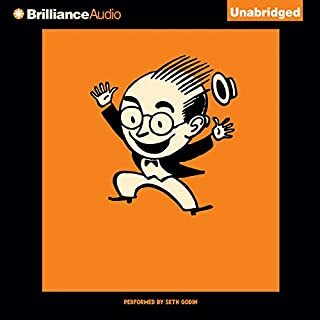 This is a great little audio book that you'll be able to listen to many times. Enjoy! lots of short stories to help understand. short and useful. interesting listen. good quality audio. This is a book for people who want to make a difference but are sitting on their hands. It a good kick in the pants. It is honest about what the opportunity is for us, the reasons we avoid shipping and what we can do about it. I listened to it four times in a row and then I went to work on a long shelved project. Thanks Seth! Sometimes I think he reads my mind! It's so important to understand the idea of art. This has been my perspective for 25 years. It's nice to have that idea validated. i enjoyed his ideas to go out and create and find courage to do it. Where does Leap First rank among all the audiobooks you’ve listened to so far? 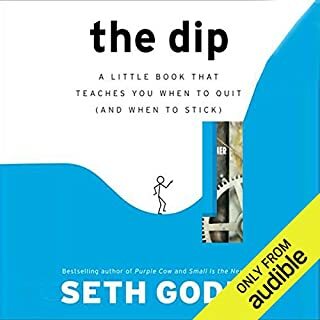 It was short and concise, it's a quick listen and if you've read other Seth Godin books you'll appreciate the content, I certainly did. A decent book for its length. 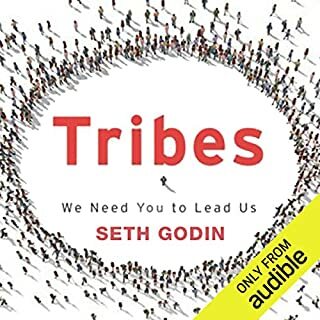 If you’ve listened to books by Seth Godin before, how does this one compare? I wouldn't consider it a full book but defiantly a good recap of the ideas Seth Godin goes into in his other books. This is a great lecture that will help you re-align your thoughts. Make you aware of why we seek failure in advance. Understanding why we do this is the first step - to pulling off a spinning-birdie-kick right in the face of Sir.Fear himself. Really found it inspirational to listen to Seth! He’s wisdom is impressive, simple, easily digestible! Go and get this short talk! 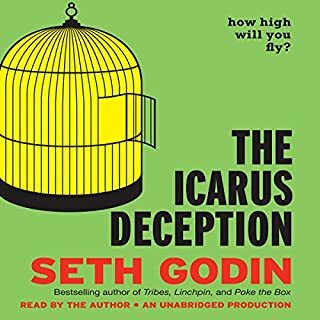 Seth is really easy to listen to and this one with a studio audience has some really interesting ideas and philosophies. Highly recommended! Have read a lot by Seth and all 5 stars but this one was below his standards, read some of his other books instead! Sound quality not great, and music was annoying but omg the content was brilliant. Well worth it. I'll listen again! Poor recordings and more of a self help book rather than a buisness. Mist of it are stories that your supposed to learn from. I didn't want it to end! Seth Godin is a realist and that is what motivates me not the hooha motivation stuff that is every where now days. Once down the Seth Godin rabbit hole, this is another great book with more stories, insights and ideas. I expected a lot more from Seth Godin. Feels like it was just a money spinner from his name. Very little content that wasn't mundane and obvious. Sorry. Disappointed. Exceptionally grasping and to the point. The content is rich and this is a good short audiobook to listen again and again. Seth has such a wonderful way with words, and tremendous insights to help us feel the courage to leap. Highly recommended for anyone who might be stuck or trying to find meaninful work. Thanks, Seth. Seth Godin is brilliant. In this book he clearly outlines the challenges we face when it comes to change and how fear can stop us in our tracks. He clearly can show us a new perspective and what to do to remedy it. So much gold contained in this book and it's exactly what I needed. I will certainly be reading this book again! Thank you Seth. Great length for a podcast, wanted more content from an audiobook though. I can understand making a few key points in line with the title, explaining them further would have helped me get more out of each.